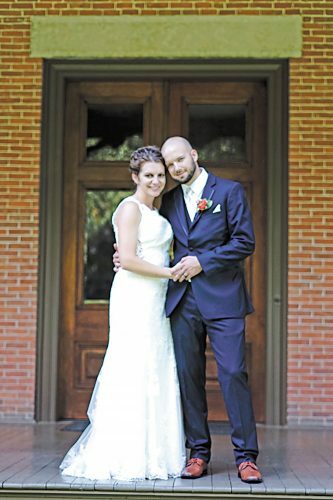 Hannah Derr and Robert Flowers exchanged wedding vows at 4:30 p.m. June 25, 2016, at St. John Evangelical Church in Kenton. The Rev. Scott Johnson was the officiant during the double-ring service. A reception followed in the church fellowship hall. The bride is the daughter of the late Raymond and Janice Holm of Attica. 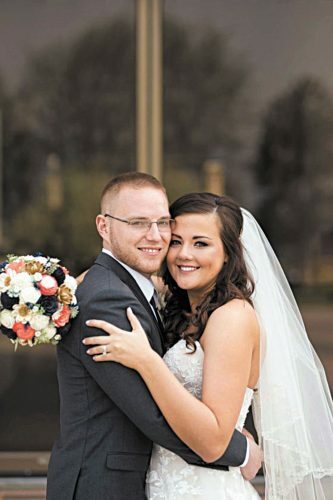 The groom is the son of the late Dale E. Flowers and Jo Anne Lear of Kenton. 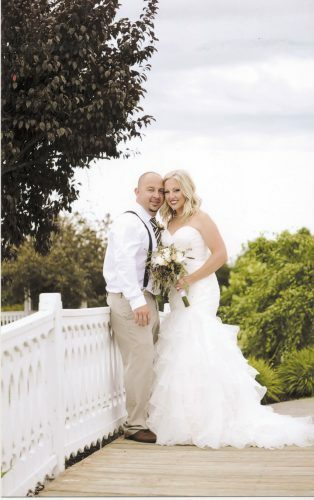 The bride, given in marriage by her brothers, Doug Holm of Crestline and Charles Holm of Fort Wayne, Indiana, wore an ivory, Maggie Sottero gown featuring a mermaid design with beadwork throughout the gown. She carried a bouquet of ivory and blush pink peonies accented with ivory pearl sprays and satin ribbon. The matron of honor was Patricia Harper, sister of the bride. Bridesmaids were Samantha Gayheart, daughter of the bride; Annie Gammon, daughter of the bride; and Alyssa Heldman, granddaughter of the bridegroom. Flower girls were Kaiden and Lyla Gammon, granddaughters of the bride. The best man was Boyd Downey, friend of the bridegroom. Groomsmen were Steve Ganger, Rich Purcell and Dave Wedertz, all friends of the groom. Ring bearers were Brady Heldman, grandson of the groom, and Robert Gayheart, grandson of the bride. 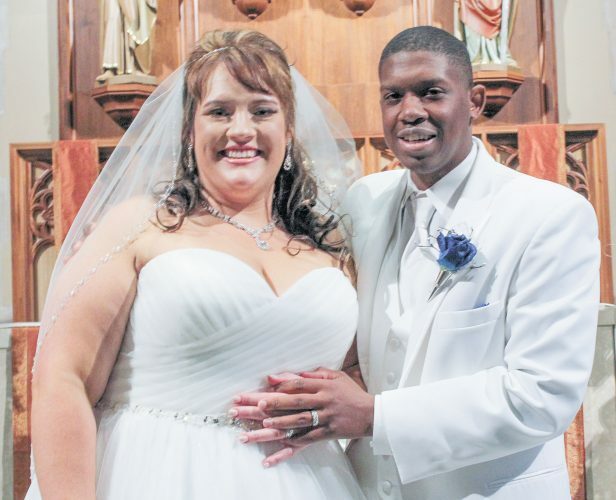 The bride is a 1972 graduate of Seneca East High School, a 1976 graduate of Ohio University, a 1984 graduate of Marion Technical College and 2001 graduate of St. Joseph’s College, Maine. She is a registered nurse with Anthem Inc. in Worthington. The groom is a 1965 graduate of Kenton Senior High School. He is a retired journeyman tool and die machinist with Rockwell in Kenton and co-owner of Databit Solutions in Kenton. 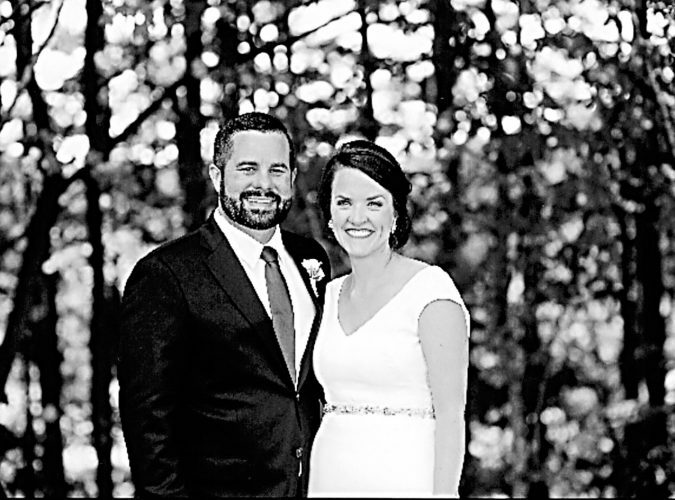 The couple will reside in Forest after returning from their wedding trip to Catawba Island.